Tribal leaders in Montana, the U.S. and Canada say Wyoming’s unanimous decision to hunt up to 22 grizzly bears outside Yellowstone and Grand Teton National Parks this year strikes a devastating blow to tribal communities. On a press conference call Wednesday, tribal leaders said they were not adequately consulted about management of an animal they consider sacred. Tom Rodgers is a lobbyist and member of the Blackfeet Tribe in Montana. He called on Montana’s Senators Steve Daines and Jon Tester to do what he called the right thing. "Today we're calling upon you, our elected representatives, to demonstrate the moral courage and set aside the ego of people who would seek to hunt and kill these sacred beings. Because that's what it is. 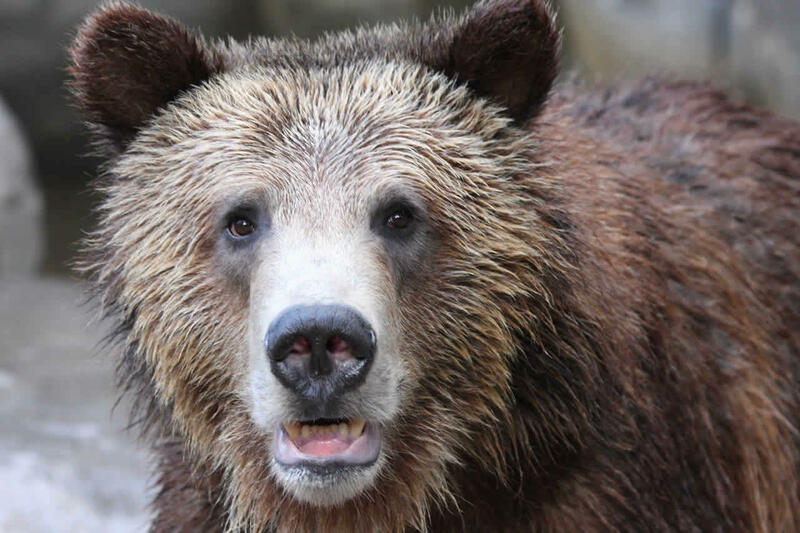 There is no glory and honor, no glory and honor, in killing a grizzly," Rodgers said. The U.S. Fish and Wildlife Service removed federal Endangered Species Act protections for grizzlies in the Greater Yellowstone Ecosystem last year, leaving Wyoming, Montana and Idaho in charge of the animals’ future management. Montana declined to institute a hunt this year. 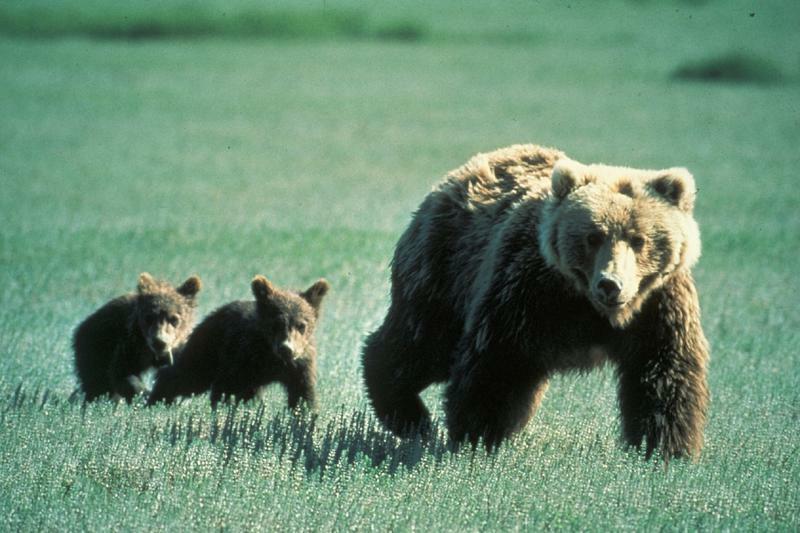 Idaho will offer a single grizzly bear tag this fall. Brandon Sazue, Chairman of the Crow Creek Sioux Tribe in South Dakota, said that removing protections for grizzly bears could open up treaty and traditional lands for new oil and gas development. "Wyoming's trophy hunt is one part of the desecration of the sacred. The other will be extractive industry moving into sacred tribal lands here, now that restrictions have been lifted on land usage and leases by removing the grizzly bears' ESA status." Sazue also worries that hunting Yellowstone area bears could affect grizzlies in the Northern Continental Divide Ecosystem. The U.S. 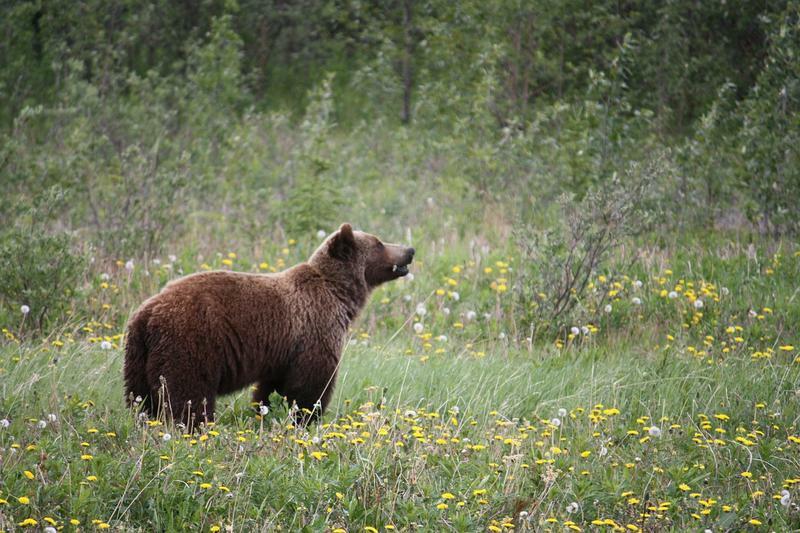 Fish and Wildlife Service is considering removing protections for those bears later this year. "What you are going to end up with is, essentially, zoo populations which are genetically isolated from one another. As soon as this trophy hunt starts, that's the end of any possible linkage between those two populations," Sazue said. 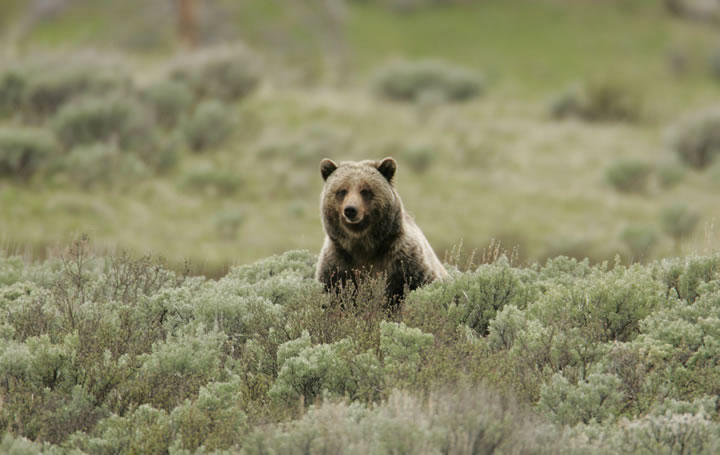 Wildlife managers disagree that the hunt will threaten their goal for connectivity between Yellowstone and Northern Continental Divide grizzly populations. Sazue added that 170 tribes have signed onto a treaty that suggests relocating excess bears to tribal lands instead of using hunting as a tool for population management. Conservationists have expressed both support and opposition to the hunt. Some say that hunting is a necessary management tool that grows support for large carnivores. Ranchers also said hunting bears can limit cattle and livestock depredation. Others say the grizzly population is still too delicate and poorly understood to support a hunt, and that hunting would not reduce conflicts or distribute the population. Wyoming’s fall hunt will run from September 15 through November 15. Licenses will cost $600 for Wyoming residents and $6,000 for out-of-staters. There are an estimated 700 bears in the area, up from 136 when grizzlies were listed as an threatened species in 1975. Montana wildlife officials have captured a sub-adult male grizzly bear near McGregor Lake west of Marion in a culvert trap after it had been spotted frequenting residential areas. YELLOWSTONE NATIONAL PARK, Wyo. (AP) — Biologists will be conducting bear research in Yellowstone and Grand Teton national parks over the next couple of months. 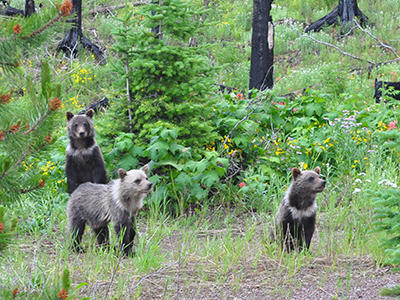 The research is part of ongoing efforts to monitor the population of grizzly bears and black bears in the Greater Yellowstone Ecosystem. The Northern Cheyenne tribe joined a coalition of environmental groups Monday in requesting a federal judge reinstate Endangered Species Act protections for the Yellowstone-area grizzly bear. The animal was delisted last summer, but the coalition says the U.S. Fish and Wildlife Service’s recent reopening of public comment of that delisting is evidence the government didn’t finish its homework before removing protections. The U.S. 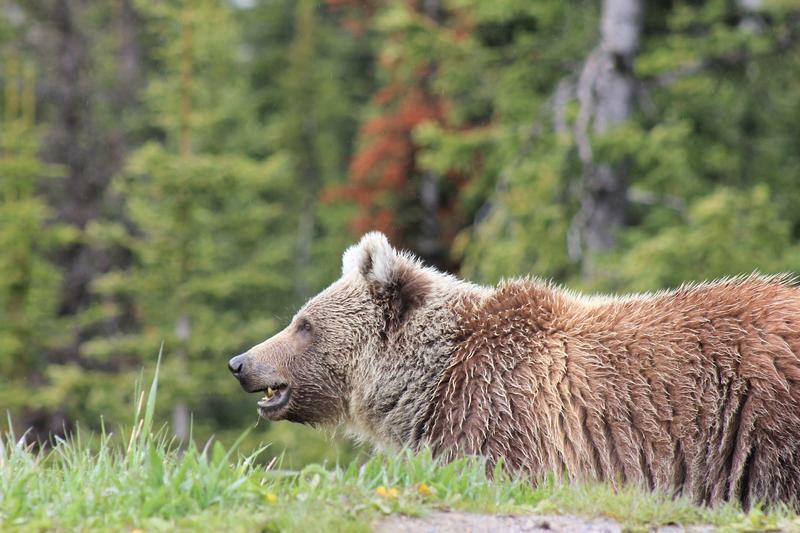 Fish and Wildlife Service announced yesterday it will propose to remove federal endangered species protections for grizzly bears in the Northern Continental Divide Ecosystem this September. This week on the Rocky Mountain Front, state wildlife officials trapped one grizzly bear and killed another when the bears, separately, killed a calf and attacked sheep. 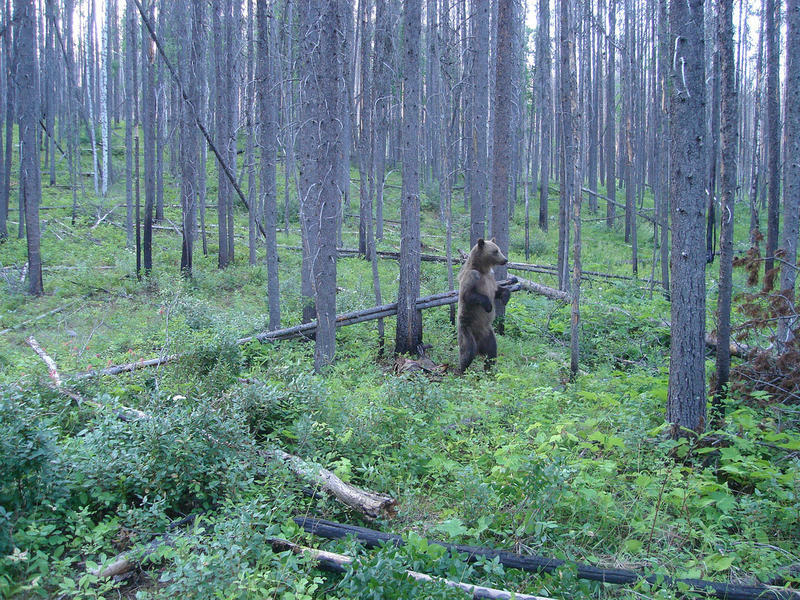 Wildlife managers expect more conflicts like this as the number of bears in the region grows. Grizzly bears have started walking back into their historic territory on the eastern plains, and many farmers and ranchers who haven’t seen the bear in generations are scared for what this revival means for their own way of life. Wildlife managers in the Bitterroot Ecosystem are stepping up their efforts to document the presence of grizzly bears there. This, as bear populations around Yellowstone and Glacier National parks appear to be spreading to new areas. With the recent delisting of the Yellowstone-area grizzly bear, Montana, Idaho and Wyoming are contemplating a grizzly bear hunt. But on Monday, their neighbor to the north, British Columbia, announced it was immediately ending its own grizzly bear hunt. 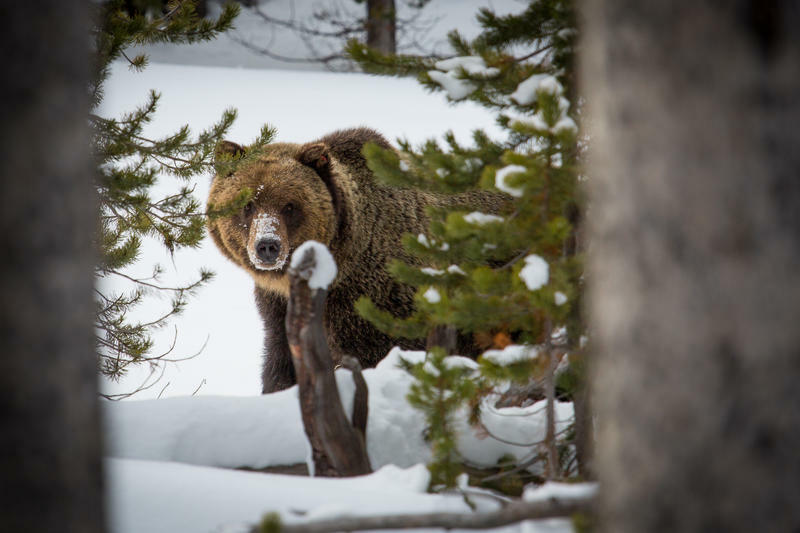 Most grizzly bears living near Yellowstone National Park are bedding down for winter, but the debate over the Trump administration removing Yellowstone grizzlies from the threatened species list earlier this year is not. De-listing is being challenged in court, and for now, the grizzlies are being managed by the states. 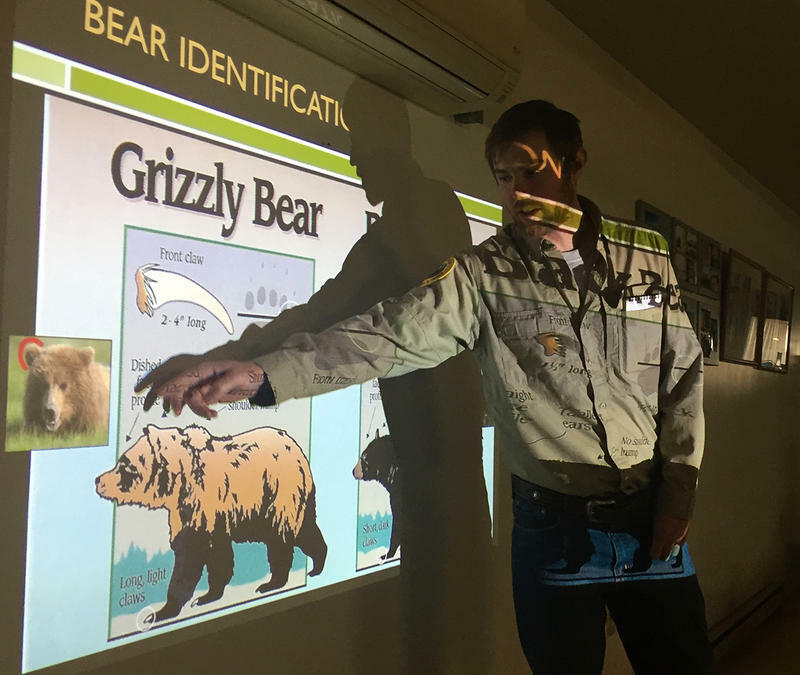 Wyoming is considering a potential grizzly bear hunt, and its wildlife management agency is holding a series of meetings to get public input on that. As Yellowstone Public Radio’s Nate Hegyi found out at a meeting in Jackson, the public is divided.